What would you recommend to anglers fishing in San Francisco, California? 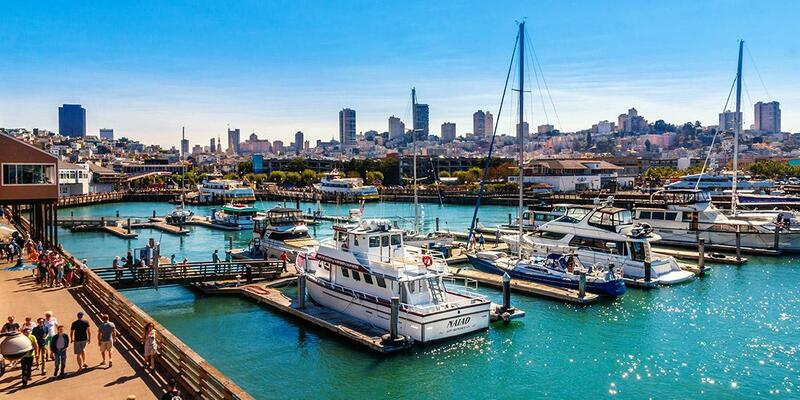 What would you recommend to anglers fishing in San Francisco, California for the first time? If your unsure of your sea legs, take a motion sickness medication. Be prepared for Karl to take your sight of land. Have your camera ready for some sensational photos. Prepare for weather and a healthy appetite to consume your catch. Layer up for the weather. It was chili out on the ocean. There were a couple of extra jackets on the boat (and the captain offered my wife a blanket and pillow when she was falling asleep in the cabin) but it's always nice to have your own stuff. Sunblock!!! Salmon fishing needs a long ride toward the ocean, so not very pleasurable for people susceptible to sea sickness. Prepare well before the trip, probably by limiting your meal before the trip and take some pills to combat the motion sickness. Wear thick clothes as well because it could be quite windy even in a sunny afternoon. Bring layers. California doesn't always mean sunny and warm. But bring sunscreen too. Fish with an experienced captain, like Craig Hanson. He knows the water, knows where the fish are likely to be, and has the correct tackle and bait. The Fall is the summer in San Francisco and the Bay is teeming with fish!!! You can't go wrong. Bring a jacket because it gets pretty windy. Bring some snacks if you plan on doing the full day. Morning tends to be best because of the tides, and the weather is sometimes better then, too. More fish are available starting around May. When leaving, be prepared for traffic out of there..it could take a while..worth the drive over of course..patience..
A total new experience for us who are used to living in tropical countries. The weather, the range of fish, the environment, etc... Fantastic experience. 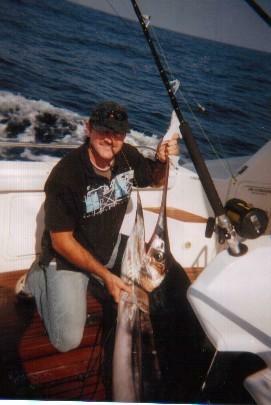 Don't expect too much except an enjoyable day with a great Capt and spectacular views and weather. Fish were not as cooperative but Dave did his best and we caught fish. Avoid the party boats at Pier 45 at Fisherman's Wharf. Look for the 6-pack boats like Warrior poet, Flash Sportfishing, Argo Sportfishing and you will have much better experience. Dress in layers, can get a little chilly out on the bay.Rubber boots are nice but not needed . Make sure you have warm clothes,weather can be unpredictable.The views are unbelievable. Talk to your Captain, if he is good taking his advise will make it a great trip.